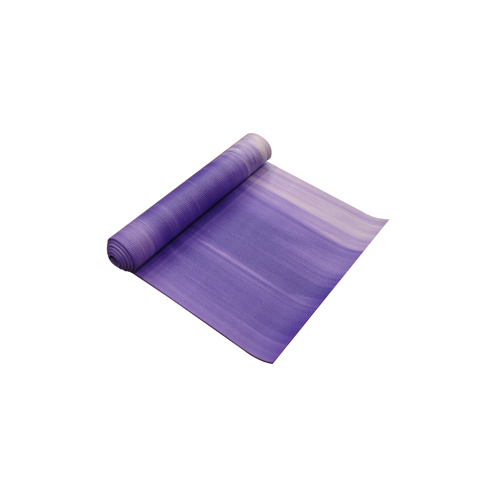 A soothing aromatherapy version of our best selling 6mm thick yoga mats is our Lavender Scented Yoga Mats. Delicately scented with lavender essential oils, these mats are very popular for use in meditative and Restorative yoga classes. Each Lavender yoga mat arrives individually wrapped, and can also be custom printed with your own company or studio logo or design. I am absolutely delighted with these mats. They are a good thickness for practicing yoga and meditation and just so pretty. Lovely thick mat to go under my thinner one but I cannot detect a scent of lavender which is disappointing.